Test veteran Jason Gillespie said Abbott's personal and professional life had been turned upside down by the unprecedented tragedy. "I really hope Sean can get over it and we one day see Sean back playing for NSW and maybe Australia." Up-and-coming bowler Abbott, who made his one-day and Twenty20 debut for Australia in October, was seen cradling the injured player immediately after the incident. Despite this, Pakistan great Waqar Younis questioned whether Abbott, who has made no comment, would be able to continue in cricket. Abbott visited Hughes in Sydney's St Vincent's Hospital and has been getting support from cricketing officials and his teammates. While the outpouring of grief and sympathy on social media has been for Hughes, there have also been plenty of encouraging words for Abbott. "Spare a thought for Sean Abbott," tweeted England great Ian Botham, while West Indies legend Viv Richards also sent his best wishes: "Deepest sympathy for Phillip's family, friends and associates. 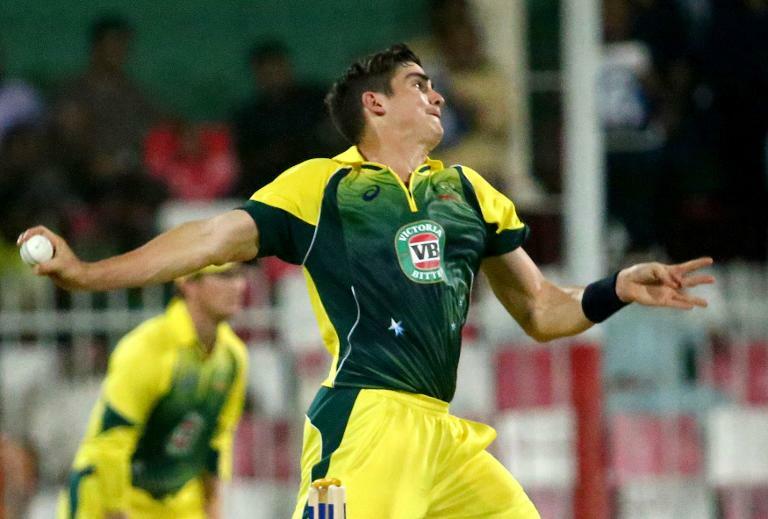 Sean Abbott in our thoughts and prayers also." Former Australian Test fast bowler player Stuart Clark spent time with Abbott, who has a naturally quiet temperament, on Thursday night and said he appeared OK with at least three supporters always around him, but it was early days.